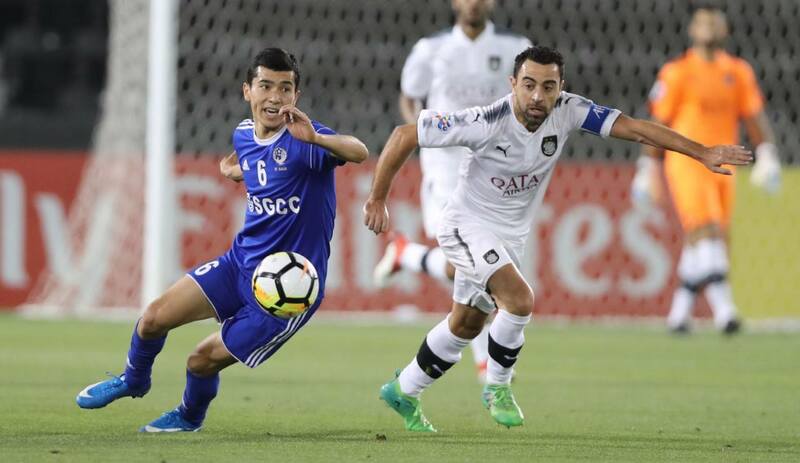 Former Barcelona legend Xavi Hernandez scored fastest-goal ever for his Qatar’s outfit Al-Sadd in an AFC Champions League tie against Nasaf of Uzbekistan. The 36-years-old midfielder opened the score 2 minutes &28 seconds after the starting whistle to put his team in an early lead. Al-Sadd went on to win 4-0 topping the GroupC. According to mundial11.com, Xavi broke the record of Al-Sadd’s former striker Emerson who scored in the same competition a goal after 2 minutes and 35 seconds against Saudi Arabia side Al-Ahly in 2008. Xavi has now become the player who scored fastest goal for the Qatari giant in the continental competition.